Global Inkjet Systems (GIS), the leading strategic partner for OEMs and system builders, announces comprehensive support of the Fujifilm Dimatix Samba GMA product line. The new GIS Head Management Board (HMB-FD-GMA) can drive up to 4 x Fujifilm Dimatix Samba GMA printheads in either the 33 or 99 variants. The HMB is based on GIS’s new Ethernet platform, which was first shown at drupa 2016. 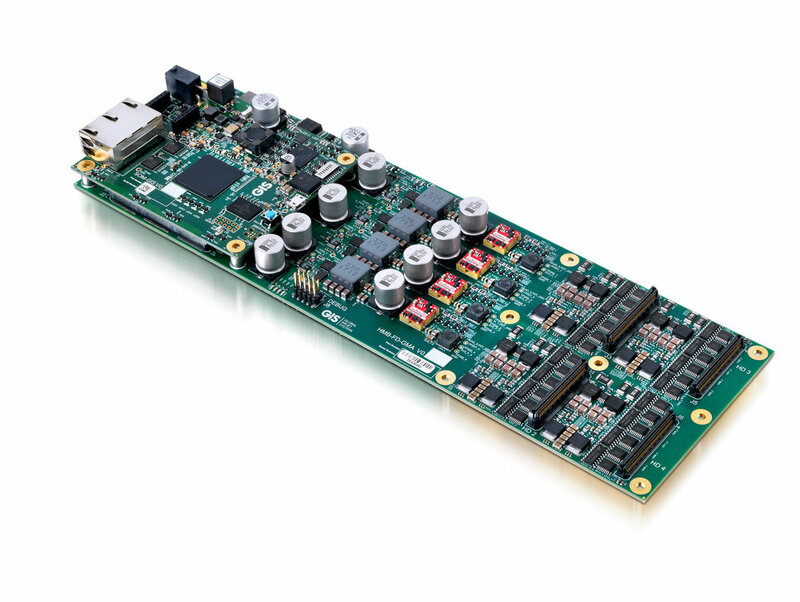 It integrates datapath buffering, printhead management and fire waveform generation, all accessed via Gigabit Ethernet, and enables the full binary and greyscale capabilities of the Samba GMA printheads. The HMB works in conjunction with the GIS Atlas® Machine Control Services software (MCS) - a powerful server technology for managing the entire printing and sub-system process - from image to swathe conversion and integration of workflow through to print queues, transport and beyond. The Samba GMA 33 & GMA 99 printheads are compact, low voltage, full silicon MEMs printheads designed for scanning applications such as wide format graphics, textile and soft signage. The printheads have 300dpi native resolution, 384 / 1152 nozzles and a 5 picoliter native drop size, and are compatible with a wide range of fluids including solvent, UV curable and aqueous inks. Ink recirculation is directly behind the nozzle. GIS is also offering a comprehensive range of ink delivery system components suitable for the controlled flow requirements of the Samba GMA printhead product line. “The new Head Management Board for the GMA printheads presents another step forward in GIS’ Ethernet platform, which we are now using for all new printheads that we support. The Samba G3L printhead has been very successful in single pass systems and we expect the GMA printheads to do the same in scanning applications.” said Debbie Thorp, Business Development Director. OEMs and system builders are invited to engage with GIS now to discuss their integration needs for the Samba GMA 33 and GMA 99 printheads.